I spent half an hour with my trains last Wednesday. It felt like visiting an old friend. As I loosened the screws on a misaligned section of track, I pondered what sort of introduction I could write to explain to folks the grandiose plans I had for my layout, which at this point is still under construction. One thing I discovered after many years of modeling, if the layout is poorly conceived and designed it won’t bring you the kind of fulfillment you are looking for and will likely be abandoned. This means spending a lot of time in the planning stages before the first piece of track is placed. A good track plan will take an ordinary train set, that circle of track that runs for a couple of weeks under the Christmas tree, and transform it into layout that will bring years of enjoyment. Recently, we moved into a smaller house. Part of the moving process involved tearing apart my old layout. A new house meant facing the prospect of constructing yet another train layout, the thought of which made my pulse quicken! My wife knows full well when I’ve entered the planning stage of a new railroad. She has to step over and navigate around piles of model railroad magazines, which surround my favorite spot in the living room for weeks on end. I’ve dreamed of having a large layout someday. But in model railroading terms, “large” is a relative word. The gauge (size) of the train you hope to model defines how large, “large” is. For example, an “N” gauge layout can function well on an interior door propped up on a couple of sawhorses. A small bedroom would constitute a large railroad in “N” gauge. 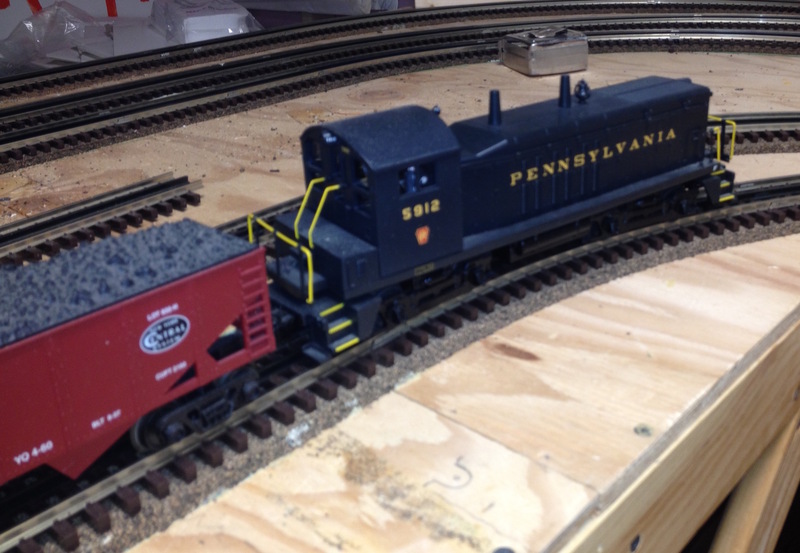 “HO” gauge is bigger than “N,” and has historically been the most popular gauge of them all. A 4’ x 8’ piece of plywood is a popular size for this gauge. 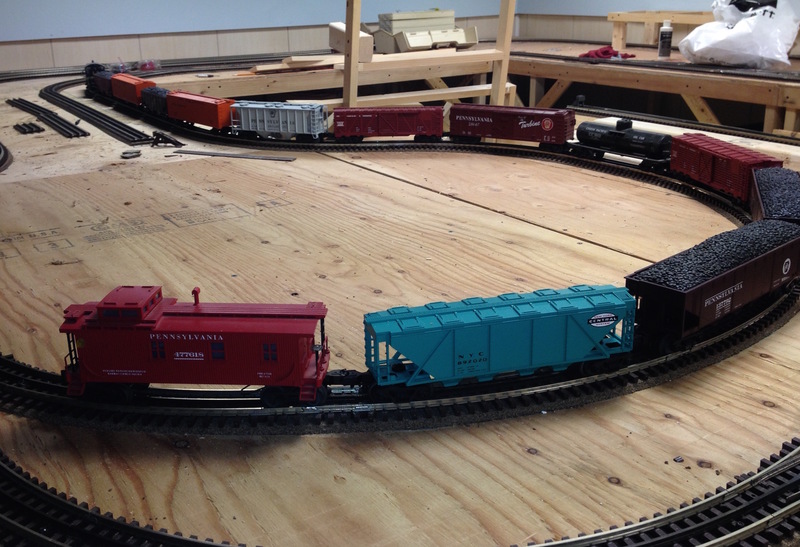 A large layout in “HO” gauge can occupy a family room or a good chunk of your basement. N and HO gauges are nice but nothing beats the thrill of handling larger and heavier trains. I wanted to build an “O” gauge train layout (“O” gauge is double the size of “HO”). 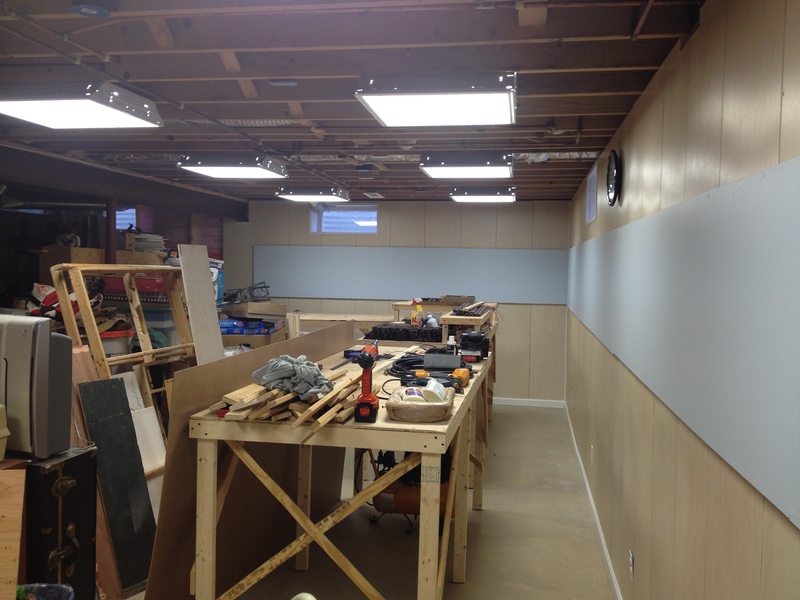 An O gauge layout can easily take up an entire basement or assembly hall. I allotted a space of 30 feet by 13 feet. My future model railroad would be considered a medium-sized O gauge layout because the trains are so big. There is one more important factor to consider before running off and buying trains – how much is it going to cost. You will not notice much of a cost difference if you’re simply buying a train set to circle the Christmas tree. You will notice big difference in cost, however, once you start buying track, track switches, buildings and rail cars. The bigger and heavier the trains, the more you can expect to pay (for everything)! With all the aforementioned information taken into account, I had to figure out how to best utilize the space I set aside in my basement. There were two things I wanted to incorporate into the design. First, I hoped to be able to run trains continuously in an uncomplicated loop to accommodate visitors when they came to our house. Guests, especially kids, just want to see the trains run. If they are brave enough, they might want to operate one. Secondly, I wanted the ability to operate my trains like a real railroad. A successful operating train layout is where my satisfaction would come from. 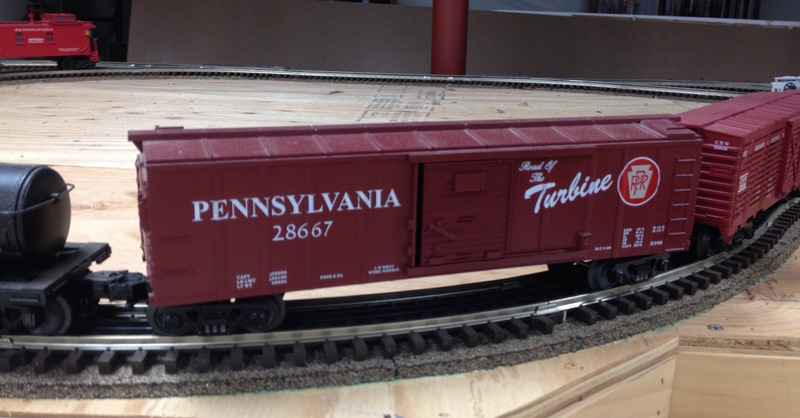 This entry was posted in Model Railroad and tagged model railroad, model train, train on November 10, 2015 by roushwm. My thoughts recently have centered on the word “train.” This usually happens when fall transitions from picturesque to grotesque and I have to retreat indoors. Each year about mid November a desire resurfaces to head for the basement to resume work on my model train layout. Where did my desire come from? It started when my father bought me a model train for Christmas. Obviously, he too was interested in trains because a two year old should not be playing with electricity and heavy metal objects. He mounted the track to a piece of plywood and I watched the train run around the circle of track that came with the train set. By the time I was six or seven I could operate the train by myself. At that age I could also break some of the rail cars, bend up the track and disable the steam locomotive. As a teenager, I became enamored with the idea of building a layout. My trains needed a purpose other than endlessly circling around a loop of track. College and marriage seemed like more important endeavors than trains so I forgot about them for a while. My desire resurfaced when my wife and I settled into our second apartment, which contained a spare bedroom. Trains have been part of my life ever since. Dad passed his love for trains on to me. Was he doing as the verse in Proverbs suggested? “Train up a child in the way he should go, even when he is old he will not depart from it.” Regardless of how Proverbs 22:6 is viewed or translated, Dad trained me up to love trains and I have not departed from it. I questioned whether or not Dad had abandoned his interest in trains when his boys grew into men. But then again, he did seem to enjoy my various attempts as an adult to construct a train layout. It wasn’t until after he died and I found a small collection of model trains among his personal effects that I realized his love affair with trains never ended. My adult sons need only to venture down into the basement of my home to assess my love for locomotives and railroad cars. In the coming months don’t be too surprised if trains find their way into my blog. Construction is set to resume on my O-27, high rail dream train layout. This entry was posted in A word, Model Railroad and tagged high rail, model railroad, model train, O-27, Proverbs, train, train layout on October 17, 2015 by roushwm.